After purchasing the old Bavarian Brewery from the Delmarva Brewing Company in July 1944, the G. Krueger Brewing Company, Inc. of Newark, New Jersey formed a wholly owned subsidiary called the Krueger Brewery Company, Delaware to operate the Wilmington location. C.L. May was tabbed to lead the new branch as its president with Donald Goulet, a long-time Krueger associate, as the vice president and general manager. Krueger was an old brewing concern, having been started in Newark in 1852. The parent company had designs of utilizing the Wilmington brewery in the post-World War II era to serve as its branch for further expansion in markets south of New Jersey. The brewery had already developed strong sales in Virginia prior to the war. 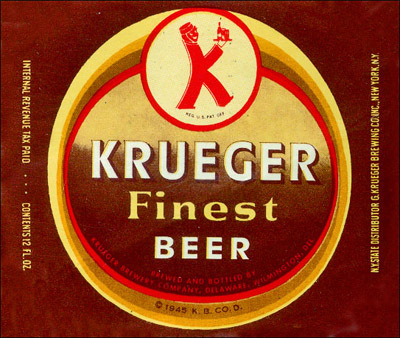 In fact, Krueger was the first brewery in the world to put beer in cans, which it debuted to a test market in Richmond in January 1935. Krueger re-tooled the old Bavarian Brewery for canning but it also utilized the existing bottling operations. 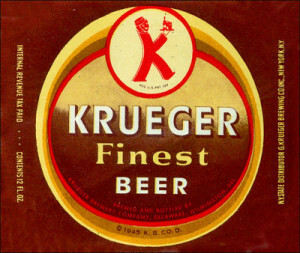 The brewery produced and packaged its flagship Krueger Beer, as well as Extra Light Lager and Extra Light Dry at the Wilmington branch. 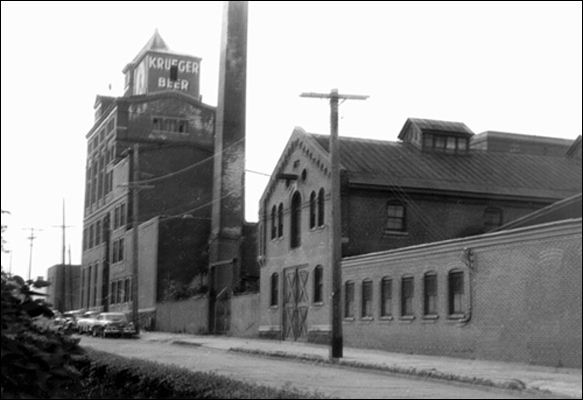 Just after World War II, Krueger made substantial capital investments in its Newark brewery to increase its annual capacity to 750,000 barrels a year. By the end of 1950, Krueger concluded that its Wilmington brewery had become too outdated and obsolete to operate at a profit. The parent company shuttered the Wilmington branch in 1951, transferring all brewing operations to Newark. The old Bavarian Brewery was immediately sold to a real estate management company and a portion of the complex was used by other businesses through the years. Eight of complex’s buildings were condemned by the city in 1954. Brewing would never again occur at the old site. Over the next ten years, much of the complex became an abandoned, dilapidated eyesore. At long last, in November 1964, the last of Wilmington’s great breweries was demolished and eventually replaced with a public housing complex.